236 Old Epps Bridge Rd. 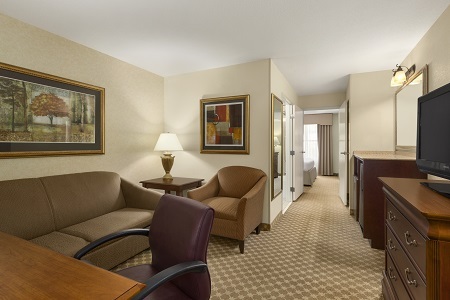 Less than three miles from downtown restaurants and boutiques, the Country Inn & Suites® by Radisson, Athens, GA is an all-suites hotel perfectly situated for visiting the University of Georgia. Cheer on the Bulldogs at Sanford Stadium less than 10 minutes away. 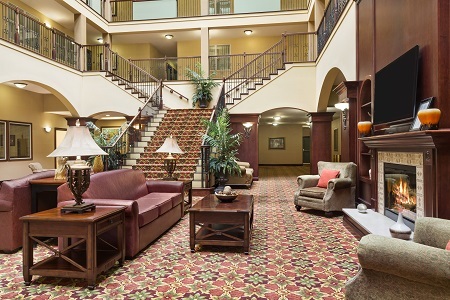 We are one of the only hotels in Athens to offer free parking for guests, even during UGA games! Music lovers won’t want to miss catching a show at the legendary 40 Watt Club and festivals like AthFest. 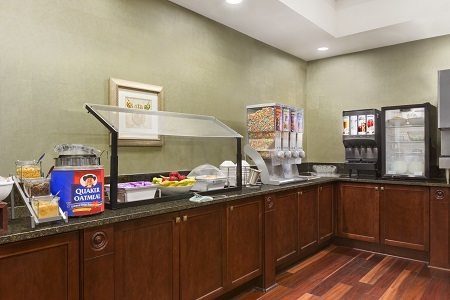 Keep your family happy and energized by starting the day at our complimentary, hot breakfast. Help yourself to favorites like waffles, bacon, eggs, cereals, muffins and freshly brewed coffee. For lunch and dinner, get a taste of the local restaurant scene by dining at The Grit, which serves excellent vegetarian dishes. If you want to indulge in classic comfort food, order hearty plates of pasta at family-owned DePalma's Italian Cafe. University of Georgia – Visit the beautiful 762-acre UGA campus to take a tour with your family or cheer on the Bulldogs. Before the game, head to the Tate Center parking lot for the Dawg Walk and greet the team as they enter Sanford Stadium. Georgia Museum of Art – About three miles away, the Georgia Museum of Art showcases an impressive collection of modern and contemporary art. Don’t miss the Green Center Collection of decorative art, which features handmade pottery, furniture and silver pieces. Five Points – Walk to this charming neighborhood, which features cozy coffee shops, unique boutiques and excellent restaurants. If you love coffee, stop by Jittery Joe's to pick up a can of locally roasted beans. 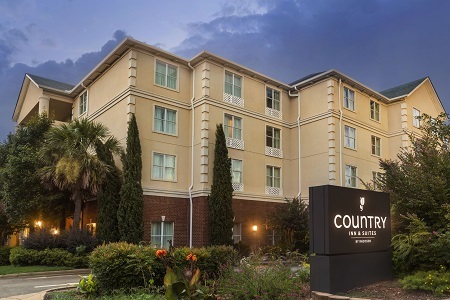 From meetings of 12 to celebrations with 80 guests, the Country Inn & Suites offers excellent event facilities for your next gathering. If you need planning assistance, our professional staff can help arrange catering, audiovisual equipment and a personalized Web page. 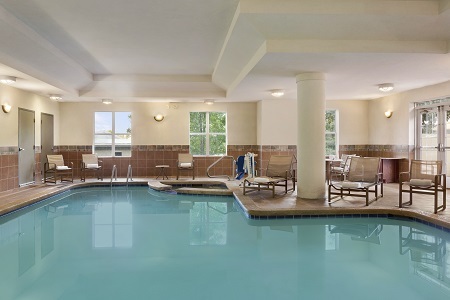 The Country Inn & Suites, Athens is a smoke-free and pet-free hotel. The penalty for smoking or bringing in a pet is a $300 minimum charge. A deposit of $200 is required for cash-paying guests.